The measure of any successful society is the level of trust that is maintained between those in positions of power and the people. When the government and its various agencies are disciplined and transparent, then the country thrives. On the contrary, when that power is abused and the laws are ignored, the people’s trust, and the country as a whole, collapses. In America, the people are justifiably growing more and more weary of the government. Secret meetings and backroom deals have practically become commonplace, and corruption has reached unprecedented levels. Take the IRS scandal for example, where the Internal Revenue Service was caught explicitly targeting conservative organizations and denying them tax-exempt status. This was not only a blatant example of corruption and federal overreach, but also a devastating blow to the trust level between the people and the government. Similarly, in 2013, Edward Snowden famously revealed the unconstitutional spying and surveillance that was taking place within the National Security Agency. At first, the NSA attempted to cover their tracks by telling the public that the data collection only involved phone numbers and email addresses, not the actual content of those emails or phone conversations. It was soon revealed, however, that this was not true. In their latest information dump, WikiLeaks has revealed that the CIA was allegedly planning to carry out assassinations by hacking into cars and trucks. (RELATED: Read what a CIA whistleblower said about climate engineering and vaccine damage). The hacking is made possible by utilizing the phone’s geolocation software to gain control over the vehicle’s control system. WikiLeaks claims that the Central Intelligence Agency has been participating in a global hacking initiative involving the United States and European nations. 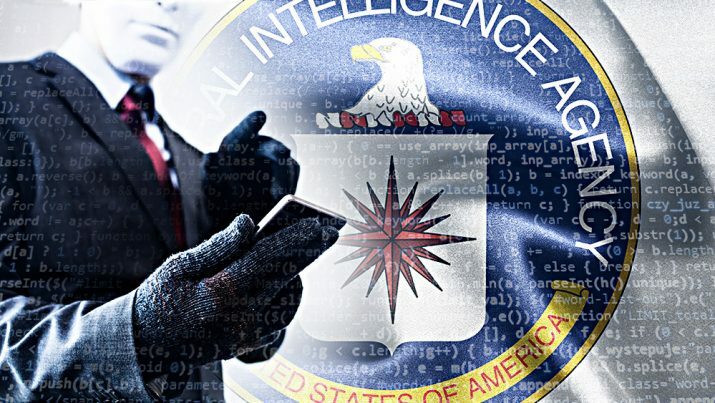 WikiLeaks alleges that the CIA was “looking at infecting the vehicle control systems used by modern cars and trucks” so that they could carry out secretive and “nearly undetectable assassinations.” They claim that “infected phones can be instructed to send the CIA the user’s geolocation, audio and text communications as well as covertly activate the phone’s camera and microphone.” These phones include both iPhones and Android devices. In addition to the hacking of vehicles, WikiLeaks also claims that the Central Intelligence Agency is capable of gaining control over Microsoft Windows users and Smart TVs. WikiLeaks has dubbed the information stolen from the CIA as “Vault 7,” the contents of which will gradually be revealed to the public over the next few weeks. As you may recall, a similar method was used when WikiLeaks released the information regarding the DNC and John Podesta, Hillary Clinton’s campaign manager. Shockingly, the thousands of pages of information that have already been released account for only 1 percent of the total information inside Vault 7. There is no telling what will further be revealed about the CIA, but based on what we have already learned from the hacking organization WikiLeaks, much of it will most certainly be damning.